Seed saving is an art, not to mention fun and empowering. Plus, it’s a valuable contribution on a deeper level: agricultural biodiversity matters, and seed saving in home gardens is mainstream conservation of biodiversity! A highlight of our 2013 Seed Swap was the John Withee bean collection. A family tradition of “beanhole” cooking led John Withee to collect and organize 1,267 bean varieties. He donated the collection—and its handcrafted case—to Seed Savers Exchange before he passed away. Seed saving promotes self-reliance, and swapping seeds connects and builds community. It connects us to our agricultural roots. Additionally, it helps conserve our agricultural resources. Preservation matters. Once varieties are lost, they cannot be recovered. A century ago, seed houses had hundreds of varieties, and now just a few remain. Think about this vegetable fact: In 1903, 544 varieties of cabbage were listed by seed houses across the United States. By 1983, just 28 of those varieties were represented in our national seed bank at the National Seed Storage Laboratory (now the National Center for Genetic Resources Preservation). Saving seeds encourages adventurous eaters. Growing heirloom varieties holds culinary appeal because it offers the opportunity to grow interesting vegetables that aren’t readily available in grocery stores. Thrifty seed collectors save money because there is no seed to buy each spring. They maintain a personal seed collection. Seed savers are lifelong learners, and home gardeners play an important role in helping to preserve our diverse seed histories. Home gardens become living laboratories to learn about plants. Seed saving builds observation skills, and there is a need for more seed growers to evaluate varieties for disease resistance and variety. Finally, saving and sharing seed just feels good. Which seeds should be saved (and are the easiest to save)? Hybrid varieties (F1) produce seeds that, when grown the next year, are unlikely to resemble the original plant. Don’t save seeds from a hybrid vegetable. Seeds should be saved from open-pollinated plants (OP), those stable varieties that can reliably reproduce themselves generation after generation. As long as open-pollinated plants don’t cross pollinate with other varieties of the same species, their offspring will carry the distinguishing characteristics of the variety. Heirloom vegetables are open-pollinated plants that produce seeds passed down from one generation to another, often with historical connections and stories. 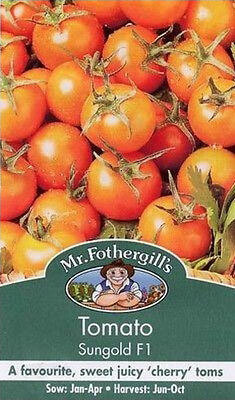 Heirlooms carry special value and are usually old varieties. Very simply, plants either mate with themselves or they mate with other plants. Self-pollinating plants have all the flower parts (anther and stigma) to transfer pollen within their own flowers (achieved by physical contact of male and female parts), or between separate flowers on the same plant (helped by wind or insects). In other words, they mate with themselves. Cross pollination takes place when pollen is transferred from one plant to another plant by insects, birds, or wind. Crossers can’t move pollen without help as the selfers do. Offspring of plants that cross pollinate may have different characteristics than the original variety unless they are isolated from plants of the same species. If a package is labeled F1, seeds should not be saved, as they are unlikely to reliably reproduce the same plant as the parent. Balance the many factors that comprise the art and practice of seed saving. Begin by choosing a couple of self-pollinating annuals. Peas, beans, tomatoes, and lettuce are easiest to save. Insect- and wind-pollinated annuals may require isolation distances so they don’t cross pollinate. Thoughtfully map out the garden to make efficient use of space. 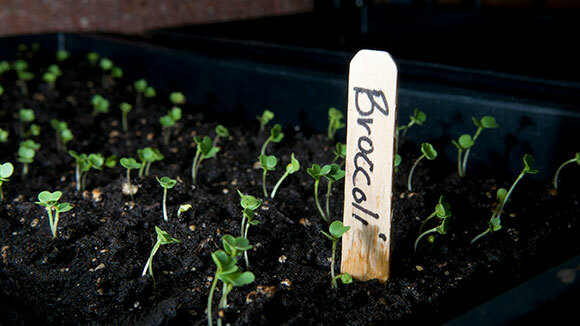 Growing plants for seed may take up more room for a longer period of time. While radish may be harvest-ready after growing 30 days, it may take much longer for your radish crop to produce its seeds. Take our classes during the Super Seed Weekend to learn more about planning a garden for seed saving. Seed savers contribute! Come to learn, swap seeds, and share stories at Super Seed Weekend and experience the satisfaction that comes along with being a seed saver. A broad community of seed savers (new friends) awaits!